Tom (Martin Sheen), an American doctor, gets word that his son (Emilio Estevez) has died only one day into his pilgrimage on El Camino de Santiago, an 800 kilometer walk from France through Spain. Tom flies to France to recover his son, and decides to take the pilgrimage himself, carrying his son’s cremated remains with him. 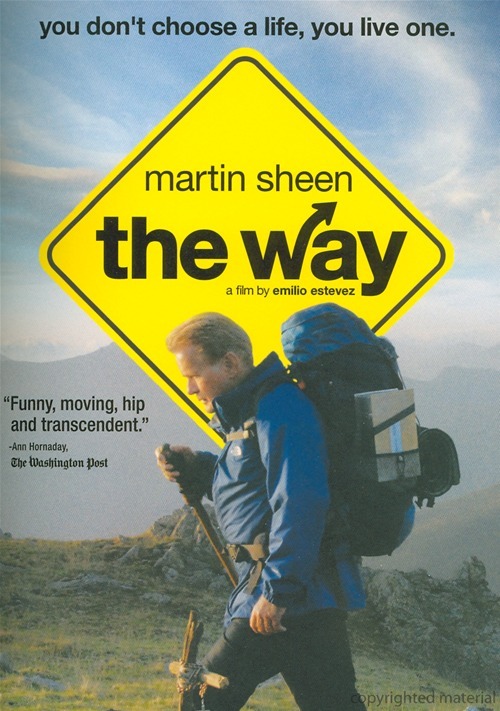 The Way is rather tame by PG-13 standards, mostly earning its rating through its depiction of casual drug use. ClearPlay cuts about 20 instances of dialogue, mostly mild profanity and references to bodily functions. A brief shot of a man in a thong is trimmed, as is a scene of urination. Many younger kids may find the plot ponderous, but it’s appropriate for all ages. Directed by Emilio Estevez, the movie is very much a personal project for him and real–life dad Sheen. Though often predictable in ways that road movies usually are — a trip standing in for an inner exploration of self–discovery — The Way takes care never to become overly sentimental. As a story of reconciliation between father and son, The Way is an effective journey.